The position of the villa with an amazing view, the interior, the design, the swimming pool, every thing were amazing. Amazing views of Protoras, quiet and private location within easy reach on main town. First class customer service. All facilities to a high specification, Beds massive and really comfortable. Aircon quiet so can be left on at night. Great gas BBQ and glass panels around pool meant views maintained when taking a dip. 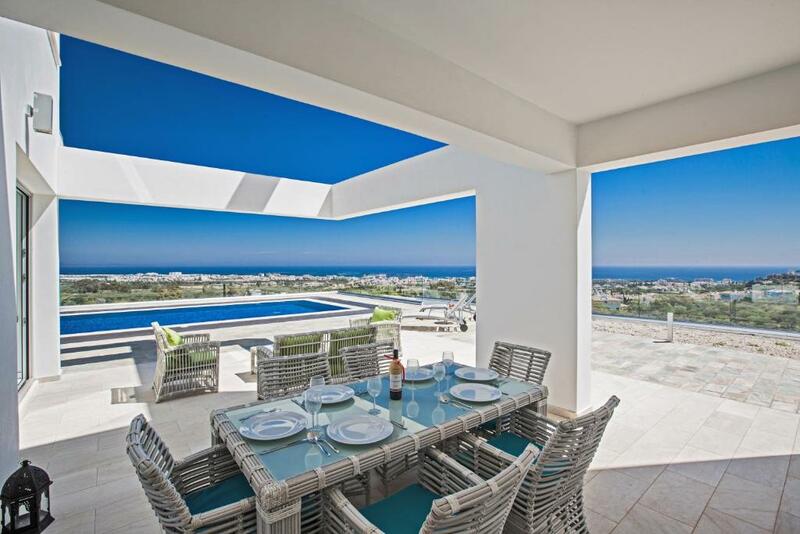 The villa is really beautiful and in a great location with amazing views. Finding the villa however is a little difficult as it is situated up a very tiny lane that has no signpost so easily missed, the road is steep and in bad condition and needs to be fixed. הווילה פשוט מטורפת! נראת יותר טוב אפילו מהתמונות מרווח מאוד, יש את כל מה שצריך ויותר! בטוח אחזור לשם שוב! Sehr schöne Villa. Top modern. Tolle Aussicht. Sehr ruhig. Lock in a great price for Villa Marilia - rated 9.2 by recent guests. 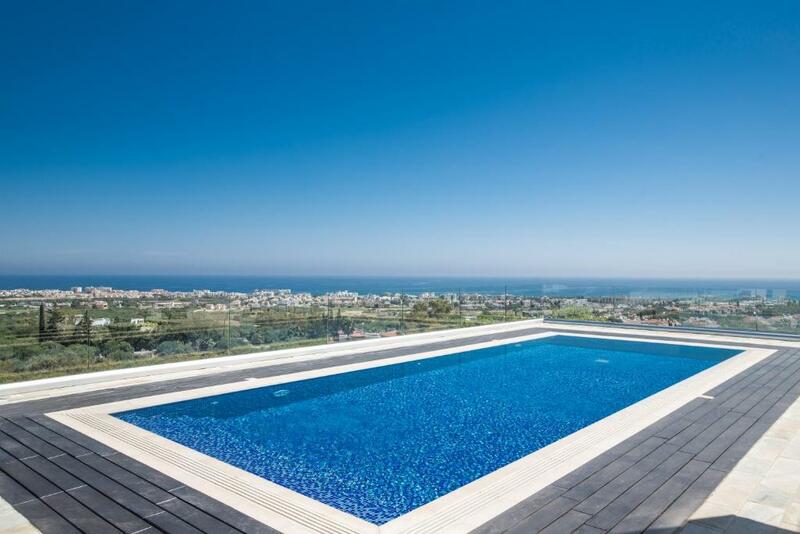 Offering an outdoor swimming pool and sea view, Villa Marilia is located in Protaras, 5.6 miles from National Forest Park Kavo Gkreko and 1.6 miles from Sunrise Beach. 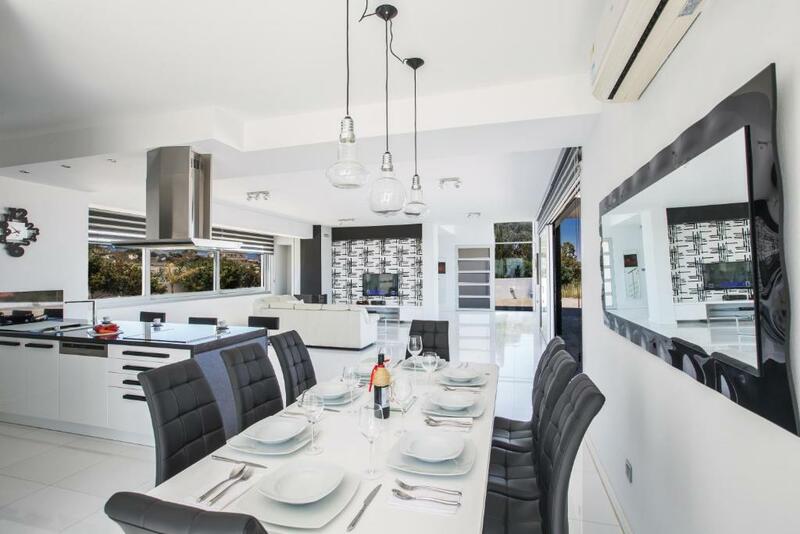 Housed in a building dating from 2015, this villa is 2.5 miles from Kalamies Beach and 3.7 miles from Protaras Ocean Aquarium. This air-conditioned villa comes with a kitchen, a seating area, and a satellite flat-screen TV. The villa also features 1 bathroom with a bath. The villa offers a barbecue. A bicycle rental service is available at this property. Trinity Beach is 3.7 miles from Villa Marilia, while Konnos Beach is 5 miles away. 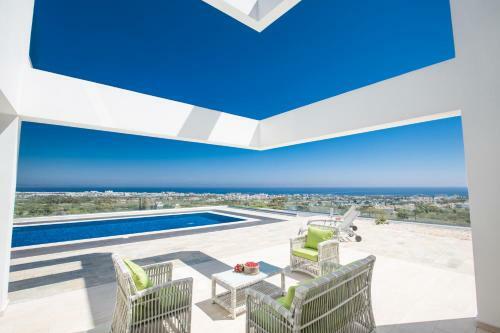 This property also has one of the best-rated locations in Protaras! Guests are happier about it compared to other properties in the area. Villa Marilia has been welcoming Booking.com guests since 8 Jun 2015. When would you like to stay at Villa Marilia? 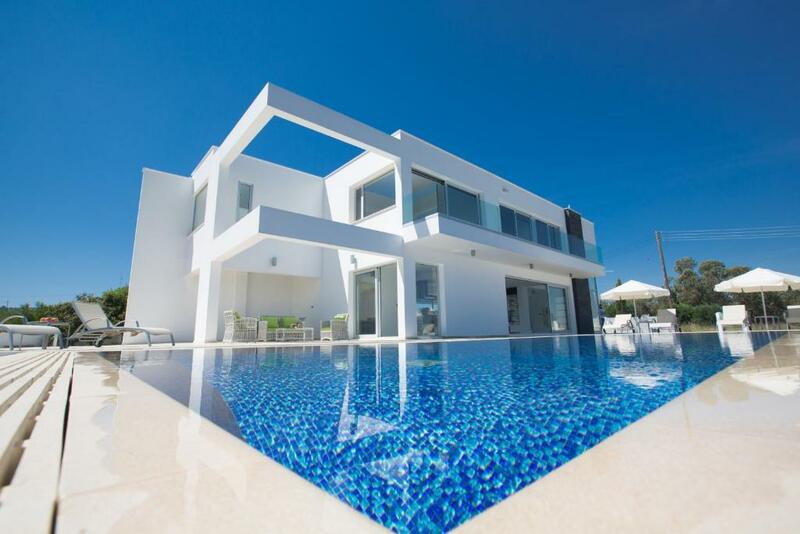 This villa features a balcony, washing machine and tile/marble floor. This fabulous 3 bedroom villa with panoramic sea views and views of Protaras offers the ultimate in luxury, space and privacy. Both inside and outside, the villa is stunning in every way and you are ensured a peaceful, luxurious break along with the privilege of breathtaking sea views over the Protaras area. A fantastic property for private holidays. 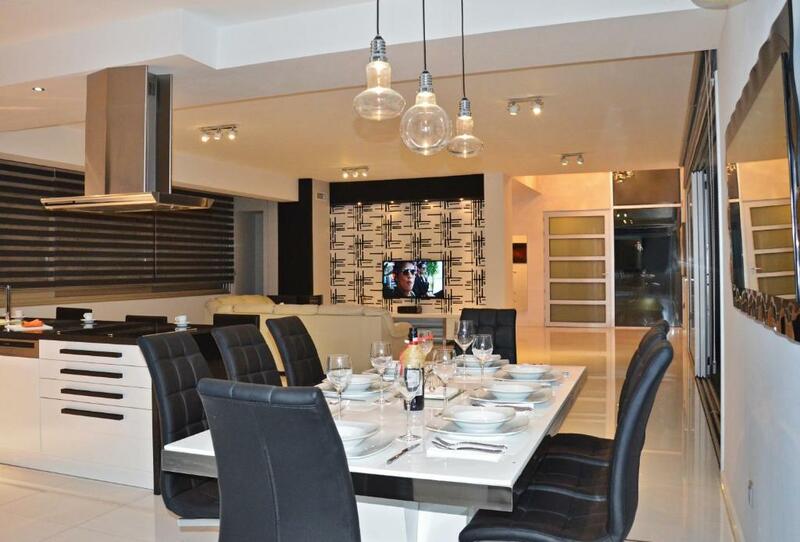 Upon entering the villa, you will find an open plan living area / seating area and a fully equipped modern kitchen. There is a log-burning fireplace and patio doors allowing you to enjoy the beautiful breathtaking sea views from every angle. There is a large widescreen television, satellite TV and complimentary wireless internet throughout the villa. The villa is furnished to a very high standard with modern furniture and marble floors throughout. On the first floor, you will find the huge master double bedroom with a walk in wardrobe, a wall mounted TV and an en-suite bath with a hot tub. There is also a double bedroom, a bedroom with two single beds and a family shower room. You are here: Travel Guide Holiday Resorts Protaras Holiday Resort Protaras Center Area The cosmopolitan resort of Protaras has quickly become one of the most popular tourist destinations in Cyprus in recent years. The resort has a lot to offer to visitors of all ages and is mainly geared towards families and those wanting to enjoy a sun-filled beach holiday. Along with a number of quality hotels, the resort boasts numerous luxury rental villas and apartments, which are located throughout the resort area within easy reach of all the resort has to offer. A wide selection of friendly restaurants, local tavernas, bars and cafes are open throughout the summer months offering something to suit all tastes. Enjoy a cocktail and a candlelit dinner at one of the many seafront restaurants or party until the early hours on the resort’s main central strip. A newly built seafront promenade connects Protaras to the neighbouring resort of Pernera and is an excellent way to view the rugged coastline and visit the numerous sandy beaches that both resorts offer. A day at the famous Fig-Tree bay is definitely recommended. House rules Villa Marilia takes special requests - add in the next step! Villa Marilia accepts these cards and reserves the right to temporarily hold an amount prior to arrival. Guests will receive a secure payment link by the host, after reservation. A damage deposit of EUR 250 is required upon arrival. That's about 216.06GBP. This deposit is fully refundable upon check out as long as there has been no damage to the property. Poorly signposted making Villa difficult to find on first night in the dark coupled with a steep gravel road to the villa made access difficult. No blinds in the on suite bathroom resulting in a lack of privacy. The water pressure wasn’t working on day 2 and 3 so we had many difficulties showering which resulted in showering outside (with only cold water) The directions to find the villa were not accurate. There was no sign to tell us where the villa was. At night this was very hard to find.